Chateau Malliac Wedding - France Destination Wedding. 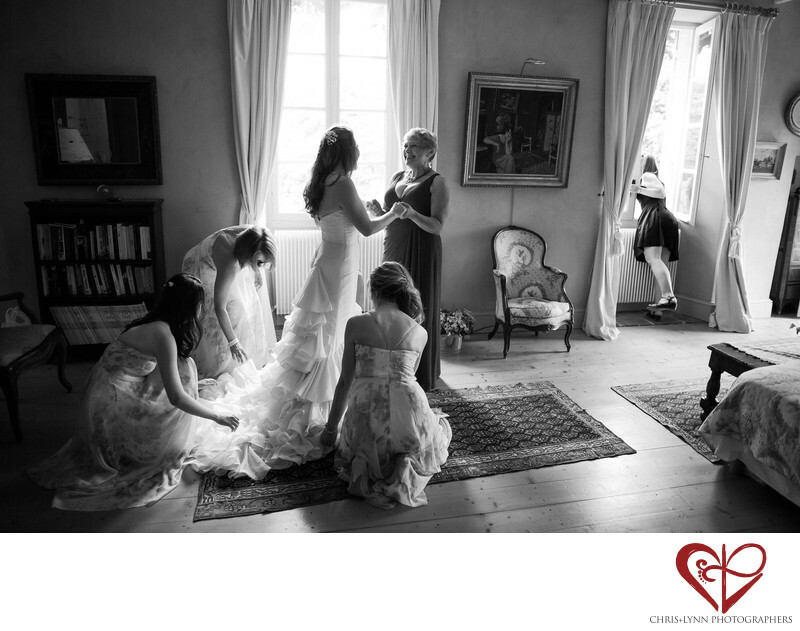 Bride and bridesmaids get ready for the ceremony in the sunlit suite of the chateau. 1/500; f/2.0; ISO 1600; 24.0 mm.